I have lived alongside the Johnstone River for forty-two years and watched the river run red every time heavy rain falls. Lately, I have noticed it needs less and less rainfall to cause the river to run red. 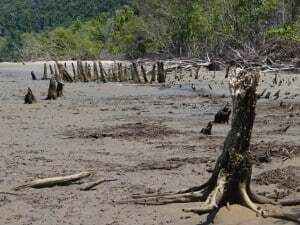 At the mouth of the Johnstone River the mangrove forest has died. It is thought that the sediments carried by the river contain many chemicals including herbicides. When these sediments are deposited, by the action of the river around the mangroves, herbicides slowly leach out and kill the mangroves. The Australian Institute of Marine Science (AIMS) has reported the Great Barrier Reef has lost half its coral cover over the past 27 years. Much of the blame for coral loss has been placed on the effects of storms and coral bleaching. 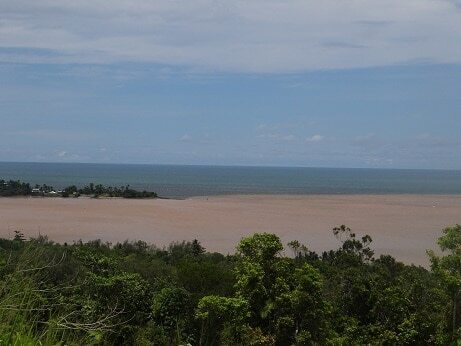 However, sediment and nutrient runoff from agriculture and coastal development are believed to have a far greater impact on the reef-ecosystem and affect the reef’s ability to naturally regenerate after storm events. One of the impacts of storms is the re-suspension of bottom sediments, reintroducing buried pollutants from earlier days. High background populations of crown-of-thorns starfish are reaching plague proportions every decade and are believed to be responsible for the loss of 42 per cent of all coral cover. For some time there has been conclusive evidence to demonstrate the link between nutrient run-off and escalating crown-of-thorns starfish infestations. The evidence of the link between crown-of-thorns starfish outbreaks and nutrient run-off was first revealed at the Catchment-to-Reef conference in June 2004. 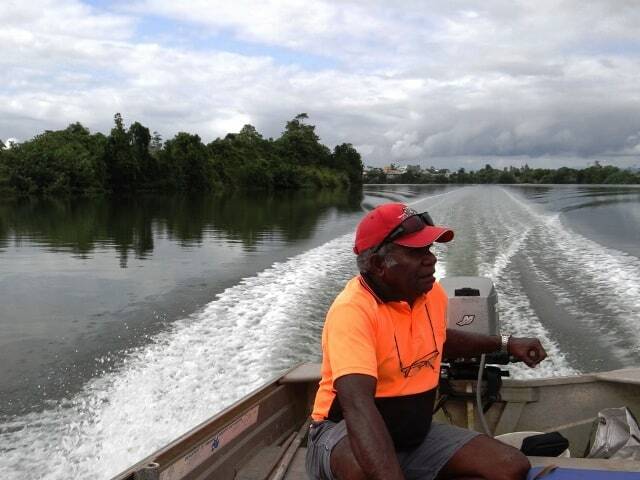 To investigate the cause of all this additional sediment that seems to be coming down the river these days I went with Victor Cassidy a local aboriginal Elder and keen fisherman, up the North Johnstone River. We left the town wharf and immediately saw riparian vegetation had been removed completely in front of some subdivisions along the river. Elsewhere gaps have been made in the vegetation to view the river. 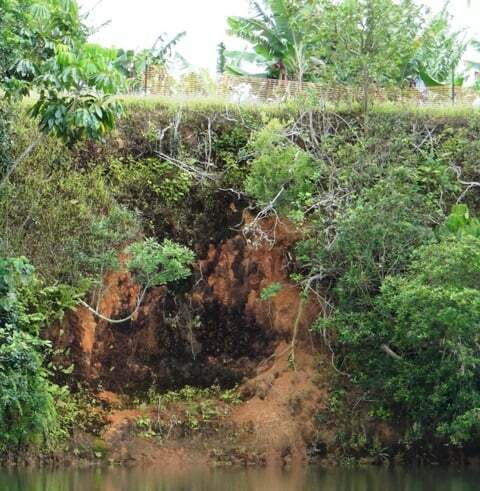 There was severe erosion on the riverbank adjacent to these riverside developments. Victor remarked that there were few fish in the river nowadays and he asked me: “Where are all the birds?” I suddenly noticed the birds we would expect to see along a river were not there: there were no birds and all was quiet save for the sound of the boat’s engine. Victor pointed out how terribly the river has suffered. The eelgrass beds in the Johnstone River are gone and gone with them are the many species of fish and crustacean they supported. This has left a river unable to support even a fraction of the fisherman once reliant on her for existence and recreation. This is ironic as the local council went to great expense to erect fishing platforms along the river to attract tourists to fish. Once there were dolphins, dugongs and turtles all up the river but with the loss of the sea grass they too have gone. 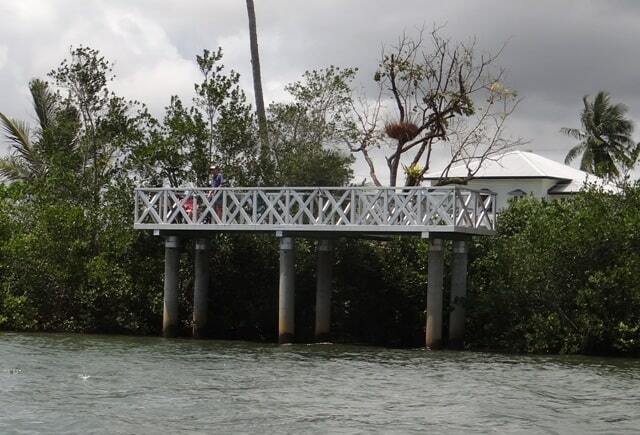 The schools of saurus fish roaring up the river on the summer king tides are gone. The masses of prawns at Christmas time are gone. The myriad of juvenile fish around the banks of the river are gone. 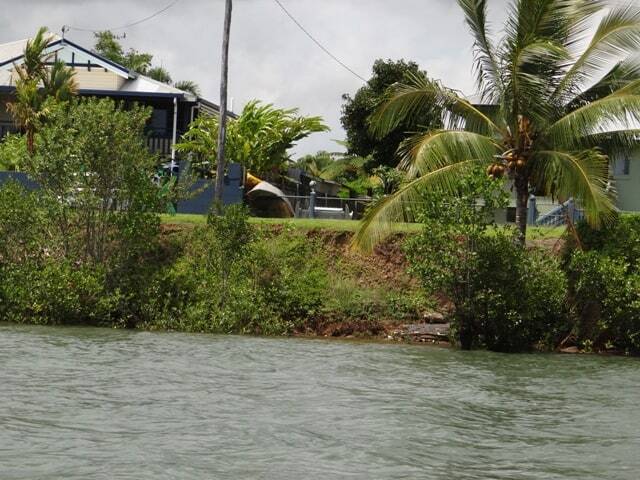 All along the river we saw banana and sugarcane growing all the way to high water mark. The riparian vegetation was gone. 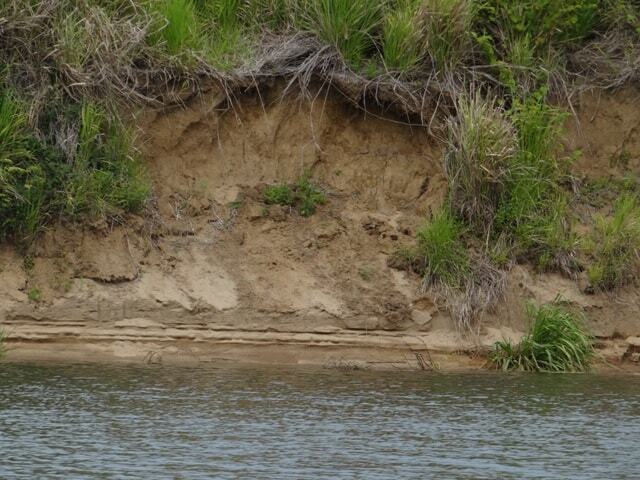 This has changed the river’s hydrological regime and large areas of the river bank are undermined and collapsing. Erosion in the bend of the North Johnstone River near Polly Creek has caused a critical situation which is threatening farm lands and buildings. Where the river normally meandered around a long bend, without the riparian vegetation the speed of the water appears to have increased and subsequently undermined the river bank. 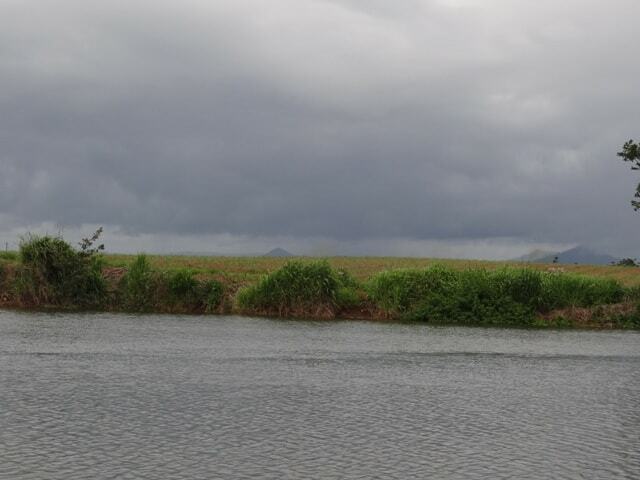 I rang the Lands Department, after many phone calls, was told farmers were given the right to lease riparian lands under the Riparian Land Lease Act of 2000. Since then and despite many phone calls and requests I have been unable to find this Act which I understand covers all watercourses in Queensland. Of course the Government is looking at winding back even these inadequate provisions when what we need is more adequate protections of riparian areas along GBR waterways must be put in place to stop these huge sediment loads from continuing to end up on the reef. All photos provided by Yvonne Cunningham.